previews begin on March 10th, 2017. Sunday, March 19th 2017 from 1:00 pm – to 3 :00 pm. All appearances are complimentary to the public, and RSVP’s are required. 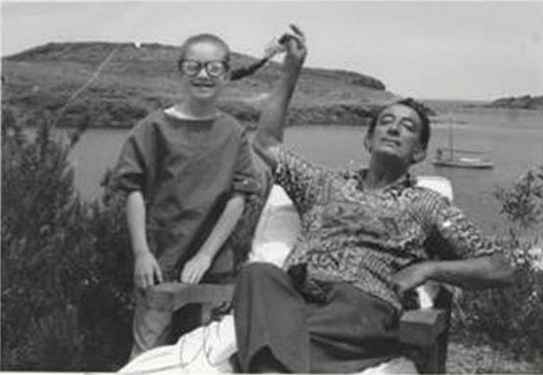 Salvador Dali's publisher, Pierre Argillet (1910-2001) and Dali enjoyed a collaboration and a friendship that spanned five decades; and produced what art historians have termed "the finest bodies of the Master's Art". This collection made available by the Argillet Estate is...truly… A privilege and an opportunity for the collector to own a prominent piece of Dali's legacy. Pierre Argillet's body of Dali's etchings, original works and books appear in museums throughout the world, and have enjoyed a home at the Museum of Surrealism in Melun, France (Pierre Argillet's former home "Chateau Vaux-le-Penil" and former museum) as well as in the Dali Museum in St. Petersburg, Florida. The collection is also housed at the prestigious Los Angeles County Museum of Art (LACMA). Together, Argillet & Dali created remarkable editions of original prints, lived the life of a committed "Surrealist” and developed images that are highly-valued and prized by collectors today. This exhibition and collection opportunity offers works from Dali's Suites, including Mythologie, Les Hippies, Goethe's Faust, and the incomparable Poemes Secrets d'Apollinaire. Madame Argillet has also graciously included the rare titles, Etchings and Watercolors from 1934 to the late 1960's.